For All Gas Marine Kettles & "Newport" Gourmet Series Grills. 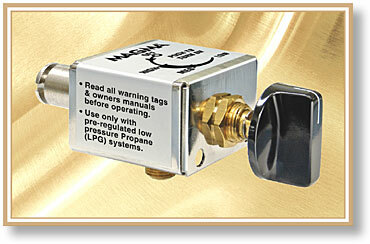 These stainless steel and brass control valves are designed to connect to the low pressure side of the regulator. Hose and fittings not included.